Think small. I used to think putting out fresh flowers meant large and expensive arrangements, but a fellow AirBnB host introduced me to welcoming guests with tiny arrangements mae from cheap bouquets split into multiple vases and even non-flowering native growth already on the property. In my opinion, a keyless entry setup is essential to success when remotely managing an Air BnB. When I converted my house to a guesthouse, I purchased Shlage’s top rated coded deadbolt and was VERY pleased with the performance. There are a number of “smart” deadbolts available that allow codes to be set and removed via an app, but to date no clear frontrunner in that category getting consistently good reviews. In order to be comfortable installing and then relocating 2,000 miles away, I decided to get the unit with 1,500 4 and 5 star reviews. I kept 3 codes programmed into my lock- my code, a code for cleaning/maintenance workers, and an AirBnB guest code, the latter of which I changed periodically. As people bring food, cook, clean up, and carry their items home, it’s likely your stuff might get caught in the confusion. People gather for events and reunions in larger AirBnBs and I think the chaos of cooking in community contributed to my disappearing kitchen supplies. I recommending paring your kitchen down to essentials and then replacing any high-end items with dollar-store versions. If you are going to lose a mixing bowl, make sure it’s a $3 plastic bowl rather than an expensive wedding gift! In the same vein, collect your niche kitchen utensils (lemon zester, vegetable spiralizer, garlic press, etc) and any especially sharp knives and place in a secure area that can’t be accessed. It’s the late 2010’s! Everyone has a device that streams videos online- in my opinion there’s little reason to provide both WiFi and Cable. 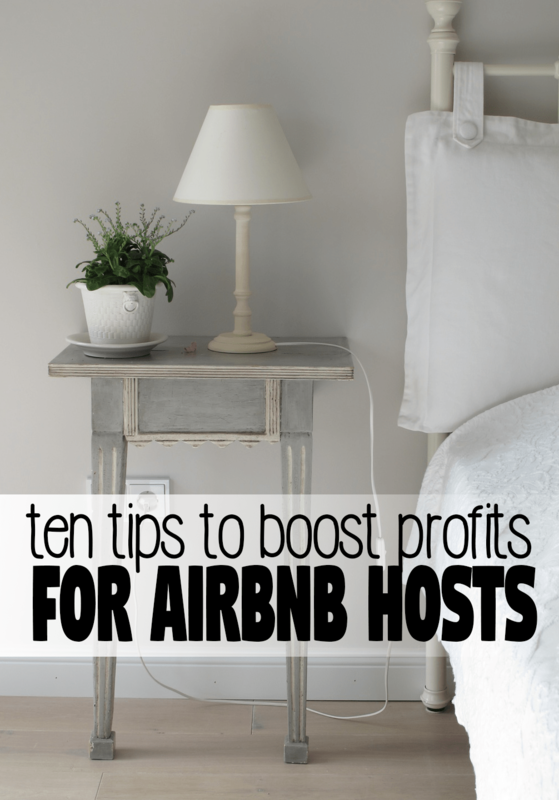 One way to reduce operating costs for your AirBnB is to end any subscriptions to cable or premium TV services. Instead, provide HDMI cables and WiFi access. 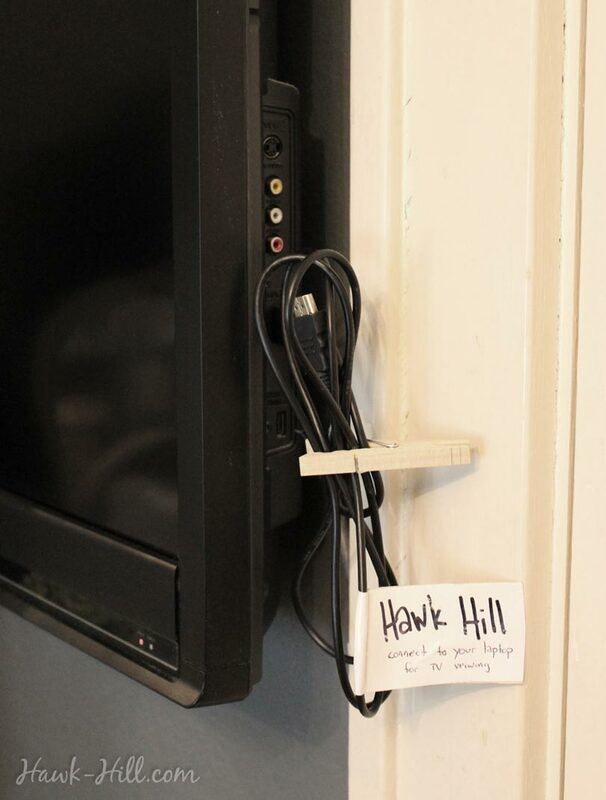 With wifi and an HDMI cable your guests can watch streaming content from their laptop on your TV screens. Everyone needs chargers- and everyone forgets them when they travel! For 5-star reviews, help these travel inconveniences to be less disruptive by providing chargers. You can match chargers to your decor AND ensure they stay in your BnB by using C-Clamps as USB holders or installing retractable phone chargers on dressers and nightstands. As a homeowner I feel lukewarm about the Nest, but as a Air BnB Host, the Nest Thermostat makes my “must have” list. I saved a lot on my utilities using the Nest for my AirBnB property. Just turn off any “schedule-learning” features on your nest, and keep the house at ultra-economical temps until a few hours before your guests arrive. Remotely being able to prepare the house for guests comfort was amazing. Sometimes too much information can overwhelm a customer during the pre-reservation selection process. Always remember that information read while considering several properties before booking probably won’t be remembered when guests arrive for their stay. 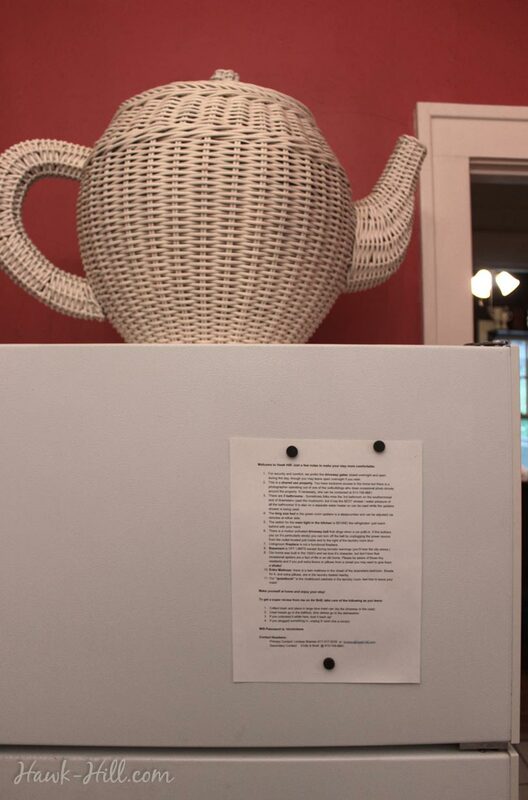 A prominently posted FAQ helps reduce questions and communicate ways to best enjoy the house. As a frequent AirBnB guest, my BnB pet peeves are homes that seem to be a mashup of random furniture and linens- or worse, guest suites overstuffed with personal belongings. Take time to imagine checking into your property as a guest, do you feel invited? Like your comfort has been considered? Like you are welcome? Consider what small upgrades (like extra pillows, a sound machine, or an upgrade to the wall art) would make a visitors stay elevate to a 5-star worthy review.